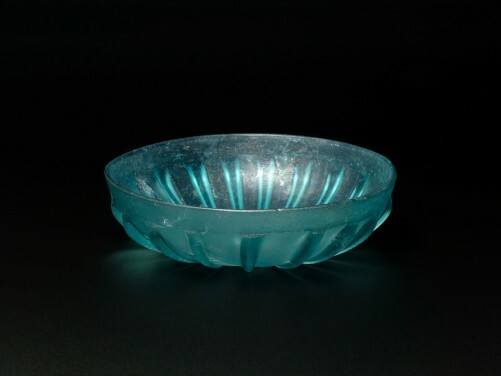 DATE circa 1st Century A.D. 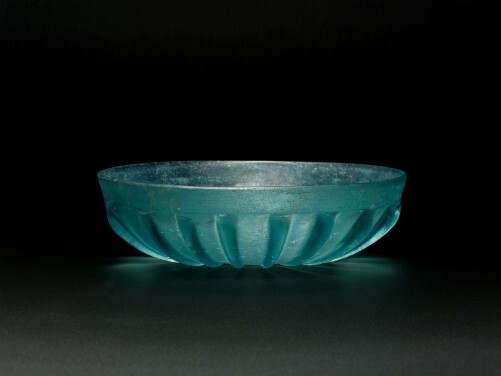 Pale blue pillar-moulded glass bowl, with nineteen ribs, the shallow interior with wheel-cut concentric circles. ex. 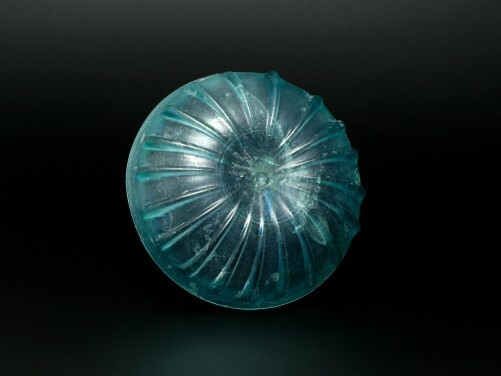 Christie's, South Kensington, 29 April 1991, lot 126. Hairline marks, intact and a fine example. 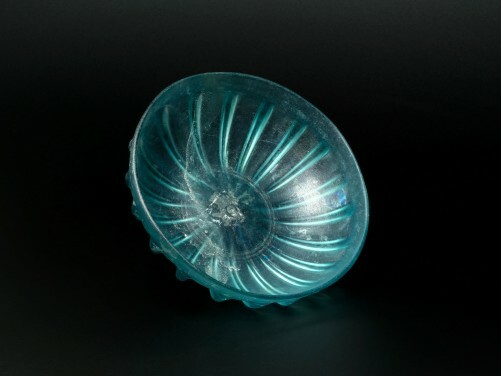 Bianchi, Robert S.; Reflections on Ancient Glass, from the Borowski collection, p. 91, v-48, for a near identical example. 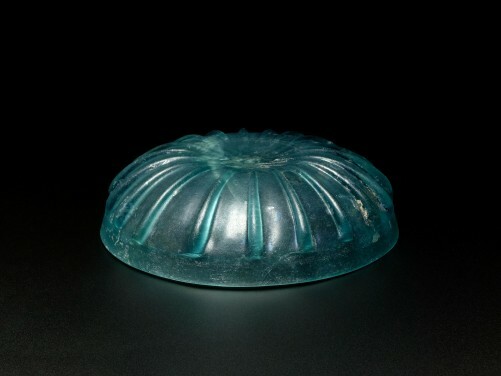 Bergman, S.; Ancient Glass, Carnegie Museum of Natural History, Pittsburgh, p. 47, no. 25.